Pool of Radiance 2 is one of the best role play games I have had the pleasure of reviewing and is completely revolutionary in many ways. The game features some breath taking graphical content as well as a really good and innovative new game play engine that really does do the game great justice. Top game this and would recommend. 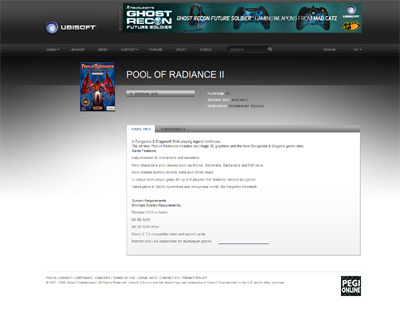 We have also compiled a Review System for this, of which Pool of Radiance 2 is Rated as Four Stars, the second highest possible score available from the Game Review Team.